Opmeer, The Netherlands. 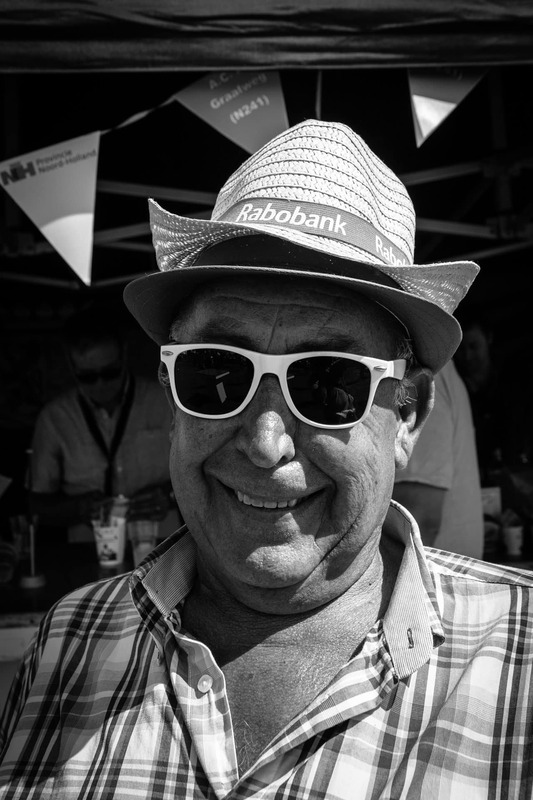 Walking around on the annual country fair (de landbouwtentoonstelling) in Opmeer this man received a hat from the Rabobank, A main local bank. and wore white sunglasses. Every year at the beginning of summer farmers and their families in rural North-Holland gather in Opmeer to celebrate the summer. The annual country fair (de landbouwtenstoonstelling). People gather round to meet farmers, Enjoy the horse shows and see the animals. Walking around I came across this man. Wearing his White sunglasses. I will be giving street photography workshops shortly. Are you struggling as a street photographer? Are you stuck in a creative rut or fear photographing on the streets? Do you want to know more on how I work the scene and create my images? Then go to the workshops page and check if a workshop is planned near you. If you have a question, please get in contact via the contact page. Or subscribe to the newsletter.